Detective Chief Inspector Billy McCartney discovers a headless corpse in the scrubland close to Liverpool docks. 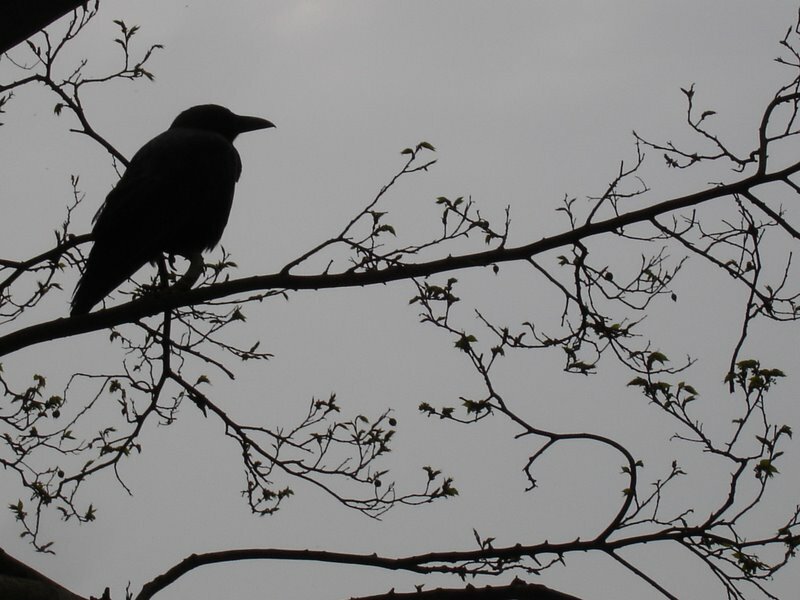 The slaying carries all the hallmarks of a gangland hit – a message from the underworld to snitches, cops and rival gangs. One mile away, a girl staggers into a run-down bar, dazed and confused. The bar’s owner, a career criminal called Shakespeare, cannot get a word out of her. DCI McCartney is all too well aware that the clock is ticking. The body was one Kalan Rozaki, youngest brother of a notorious crime family – except Kalan is no criminal. For almost a year his brothers have been under full-time Drug Squad surveillance as McCartney slowly closed the net on their heroin trafficking. McCartney’s chief informant on the case is someone with insider knowledge of the Rozaki clan’s operation, their newly deceased baby brother, Kalan. McCartney’s investigation into Kalan’s murder peels back layer after layer of a decades-long dynasty of drug smuggling. Each revelation plunges McCartney back into the dark heart of an unsolved drug crime that weighs heavy on his soul. He wants to catch the Rozakis – badly – but he wants the shadowy men behind their drug empire even more. The closer McCartney gets to Kalan’s killer, the closer he comes to facing down a lifetime’s torment. as this to me perfectly reflected Sampson’s depiction of a city courting the desire to establish itself as pulsing centre of cultural modernity and respectability ‘a groovy bohemian melting pot’, but unable to diminsh the sordid underbelly that lurks beneath the face of the inner city. 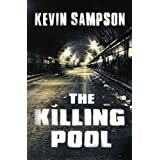 In a recent interview Sampson refers to the underworld noirish settings of ‘The Wire’ and cites the depiction of Jo Nesbo’s Oslo as points of reference for his Liverpool backdrop, and I think that he captures perfectly this pervading feeling of darkness and brutality in the shadowy world of criminality beneath the veneer. McCartney makes reference to the ‘mongrel cesspits’ of other port cities, and has no qualms in including Liverpool in this description, but I feel his derision is underlined by an equal measure of affection for a city at the mercy of change if not always for the better. The differing timelines work exceptionally well from the plunging of a young female detective into the latent racism, sexism and violence of the 80‘s storyline depicting the growth of the drugs trade with shades of ‘Trainspotting, to the 90‘s with the widespread use of cocaine as a recreational drug, and a focus on the sheer wealth and power of the drug cartels thereby solidifying McCartney’s intent both at home and abroad to foil the men behind this deadly trade. A personal vendetta with one such man fuels McCartney’s intent throughout the 90‘s and 2000‘s with the contemporary storyline in particular seeing McCartney assuming the role of an avenging angel following the death of a young informant, at great personal risk to himself. 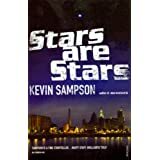 The overlaps between decades and characters are an extremely effective plot contrivance, and Sampson captures the detail of each period assuredly, so each timeline feels genuine and reflective of the spirit of that particular age. 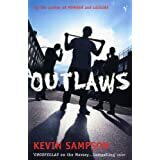 The characterisation is rock solid throughout with Sampson capturing perfectly the figures within this world of cops, snitches and criminals. DCI Billy McCartney is a man of extreme contradictions, exhibiting a steely determination as he makes his way up the ranks, solidifying his professional reputation through some high profile drug busts and fuelled with an underlying desire to bring to book a taunting nemesis.As an anomaly to his police role, he is not adverse to a chemical pick-me-up, gaining an almost Holmesian effect from this on both his mental processes and his physical stamina. His actions are not always entirely moral but remain true to his own codes of morality, and by and large get results, but he has an unknowability and hard edge to his character which is difficult to like.However, his love of music softens the edges of his character and Sampson references McCartney’s musical tastes throughout- C&W, Americana punctuated by a little bit of Satie- and interestingly despite his general disconnectedness from the world of personal relationships, McCartney derives pleasure from his attendance at a country and western music night when time allows, harbouring a small crush on the delectable Dolly Parton a-like, Kylene. He is truly a puzzle wrapped up in an enigma, and was at the very core of my enjoyment of the book. Also on the theme of character, I would highlight Evan Portius Kavangh Esquire aka Shakespeare, a foppish West Indian small time criminal (who according to Sampson bears similarities fashion wise to Chris Eubank) with a nice line in philosophy and an inherent need to rescue a damsel in distress- a shining star in McCartney’s surrounding cast who would surely merit a whole book of his own! 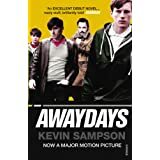 With its sparsity of prose and pitch perfect characterisation, Sampson has established a great foundation for further titles in this series, which I’ve read will take McCartney far and wide in his pursuance of the drug cartels. It’s violent and earthy, and by no means a comfortable read with its uncompromising plot and dialogue, reflecting the deprivation and bleakness of its inner city locale. It packs a punch which I’m more than happy to endure- oh- and did I mention the killer ending? Marvellous. Oh, this one looks terrific! I’ve read some other novels/series (e.g. Martin Edwards Harry Devlin stories) that take place in Liverpool; it’s a great setting for a series. I look forward to this series.